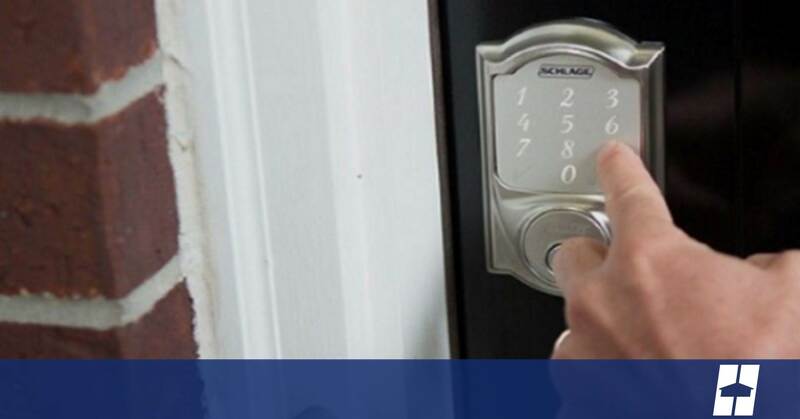 Door locks provide security for your home and your families but not every lock is the same. Choosing the lock that is right for your door can assist in keeping thieves out of your home. Look at the following features to consider. Deadbolt locks are simply those with a non-moving locking bolt that is manually operated by turning the locking mechanism with a key or thumb-knob. Single-cylinder locks open with a key from the outside and a thumb-knob on the inside. Some newer single-cylinder locks also contain a keypad for keyless entry. Double-cylinder locks open with a key from the outside and inside. These locks are designed for doors with windows but are often banned by local fire codes. Vertical locks or “jimmy-proof locks” consist of a vertical bolt that extends through a set of rings to secure the door. These locks are used primarily in commercial spaces. Smart locks use your home Wi-Fi network to send and receive information. Voice and smartphone control or fingerprint recognition enhances the security of your lock. Motion-activated cameras can also assist in recording and viewing who is there while you are not home. The metal plate that attaches inside the doorframe is known as a strike plate. Inexpensive locks often have flimsy strike plates. Look for quality locks with reinforced strike plates for better protection. The American National Standards Institute (ANSI) issues ratings for door locks, allowing homeowners to purchase the most durable of locks made. Grade 1 is the highest rating available. These locks, while once regulated for industrial building use, are now manufactured for residential use, too. Grade 2 locks make up the majority of today’s home locks. High-quality steel construction makes them a very sufficient choice. Grade 3 deadbolts offer some protection but may contain materials that simply won’t hold up to a determined thief. Most home deadbolts are interchangeable with the standard pre-drilled holes in exterior doors. Using longer screws, at least 3-inches, should make it more difficult for intruders to kick open the door. Take a few moments to review the types of locks you have on your entryway doors. Consider whether you need to switch locks before trouble comes knocking.